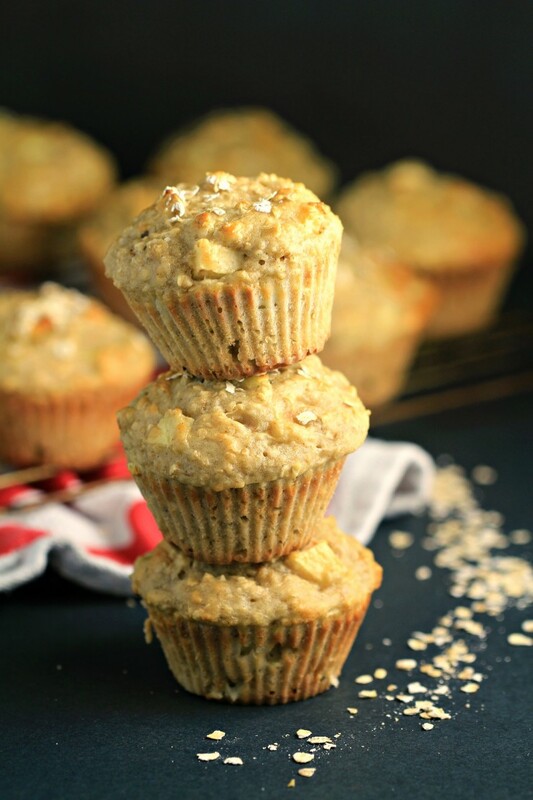 Apple Oatmeal Greek Yogurt Muffins - Frugal Mom Eh! 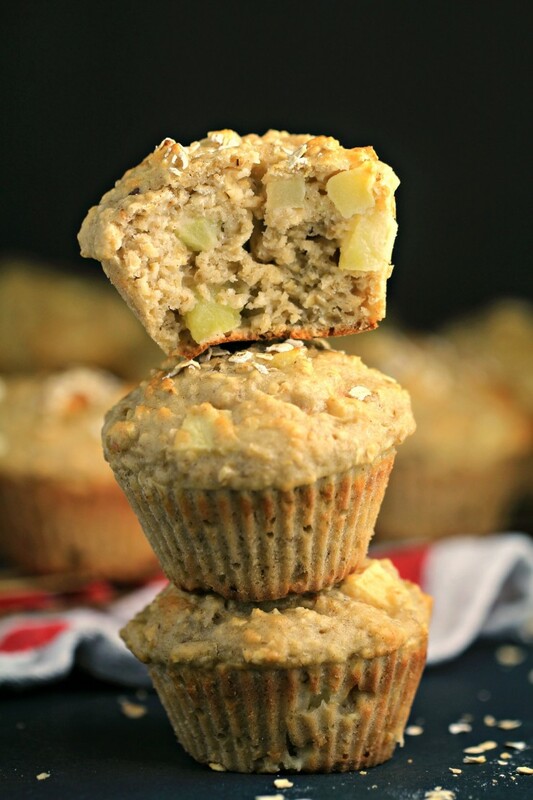 These Apple Oatmeal Greek Yogurt Muffins are bursting with apples and oats. 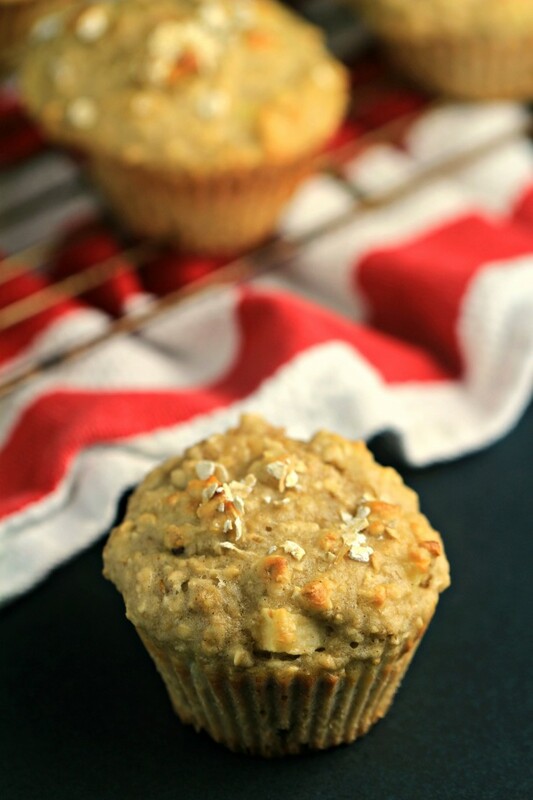 They make for a healthier muffin made with NO butter or oil! Perfect for breakfast, dessert or a light snack. 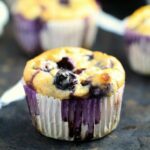 This recipe is similar to my Blueberry Oatmeal Greek Yogurt muffins, so if you were curious about the texture jut check below. They are moist and delicious, just the way muffins should be. Combine 1 cup flour, oats, baking powder, cinnamon and salt in a large bowl. Fold the apple into the batter. …would be great to have one of these little beauties with my coffee right about now! They look so good. Love that they have yogurt in them, going to make them this weekend! They sound great for a quick breakfast, or a snack!! I have tons of plain yogurt we use for smoothies. I will have to try and make these! I bookmarked this recipe. It looks great! 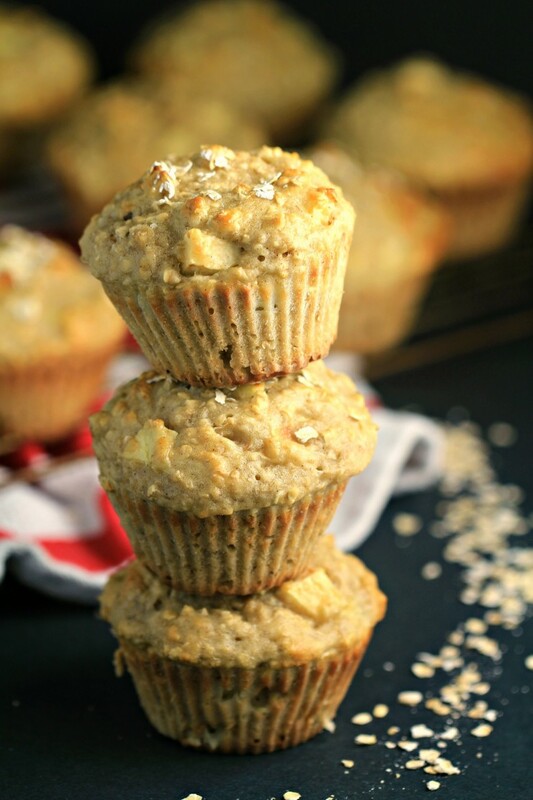 I plan on making these Apple Oatmeal Greek Yogurt Muffins as soon as I buy some rolled oats. I used up my supply making porridge for breakfast this morning. Thank you so much for these healthy and low fat muffns.